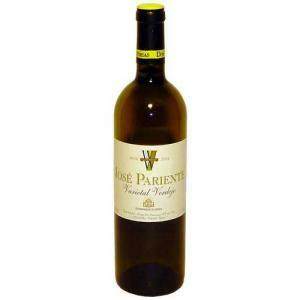 The 2009 José Pariente Verdejo : a white wine from Rueda produced by Bodegas José Pariente with the best verdejo grapes from the 2009 vintage. 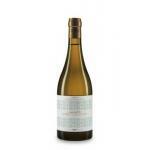 The 2009 José Pariente Verdejo is the ideal white to combine with serrano ham and white meat. 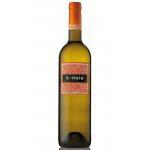 Uvinum users rate this white wine with 4,5 out of 5 points. 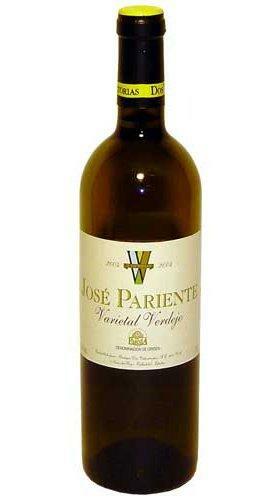 - View: José Pariente Verdejo 2009 is bright straw yellow with green hues. - Nose: Intense and complex. Fruity notes of tropical fruit, passion fruit and citrus. Aromas of fennel, scrubland and aniseed background, balsamic. Especially stylish, cool. - Mouth: The palate is equally fruity and fresh with volume and persistence. 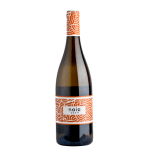 Unctuous, sweet and a touch of elegant, characteristic of the Verdejo bitter finish. 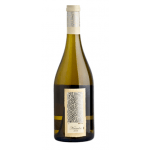 PAIRING: A suitable for snacks or to accompany fish dishes, seafood, pasta, rice and white meat wine. Also for all kinds of soft cheeses and smoked and cured ham. 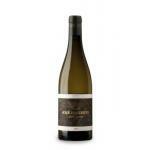 If you want to buy 2009 José Pariente Verdejo, at Uvinum you will find the best prices for Rueda white wine. Buy it at Uvinum, comfortable and 100% secure. We offer your over 59.000 products for sale which turns us into the leading marketplace in selling wine, beer, and spirits in Europe with a community of more than 38.000 customers who enjoy Uvinum.